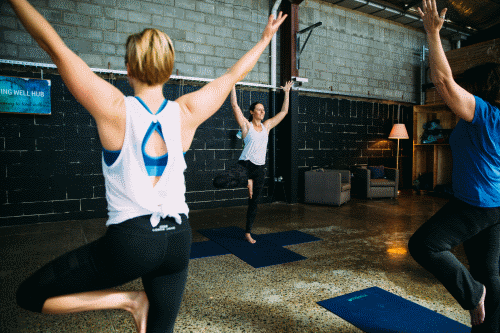 Yoga @ Q Roasters was created for our community to experience the benefits of yoga in a supportive, friendly and welcoming space. Learning to harness a state of steadiness and focus amongst the ‘noise’ of life, is the Living Well philosophy of Yoga @ Q Roasters. Our busy way of life, is hard to escape. Join us for a class to improve your overall wellbeing, experience a shift to feel more at ease and discovery the benefits of yoga and mindfulness as tools for daily life. perfect complement for our busy way of life. Let the sounds of the comings and goings of the outside world be a drift, as you receive the benefits of yoga. Come in for a yoga class, grab a coffee from our friends at Q Roasters and experience the Living Well vibes for yourself. Living Well Yoga promote wellness with poses to help improve posture, stretches to release tension and movement to enhance your strength, balance & flexibility. Depending on the class you attend, you will experience a different focus. There is an undertone to Living Well Yoga of vinyasa with connecting breath & movement. 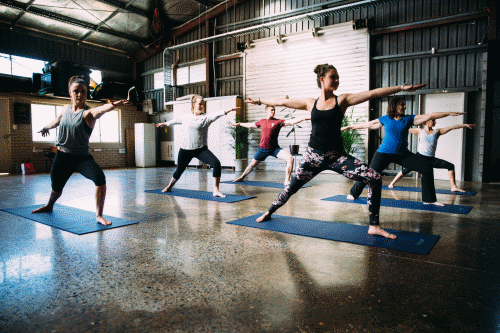 Whether you are looking to have yoga as a form of active recovery or as part of your daily life, our classes are well-rounded and suitable for all levels. Plus, we have mats & props available for use. 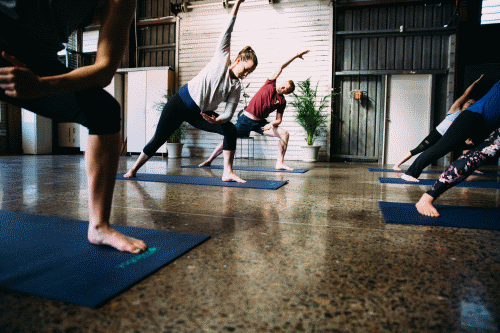 Learn more about Yoga @ Q Roasters with our class information & timetable (click below). Interested in trying yoga for your first time? We welcome you to any class. The Yogis of Living Well (aka your yoga teachers) lead classes suitable for all levels, so don’t let that hold you back from trying any of our classes. If you would like a more gentle practice to begin, Wednesday's Recharge is a great class to start. It is important in yoga & exercise that you listen to your body, and respect its limits on any given day. If you are suffering from illness or health concerns, it is recommended that you consider alternate options as group style activity may not be the best option for you. Private sessions are available. Please take responsibility for your health and wellbeing, be kind to yourself and speak to your instructors and seek support from your health practitioner regarding any concerns. Bring a water bottle, towel and yoga mat (optional), however, we do have mats & props available for use. Wear comfortable clothes that allow you to move freely. Please be mindful of other members and ensure your clothing is not offensive and/or inappropriate. Street Parking is available. Weekends are generally fine, however, during the week it can get busier. An option is to park at the end of Bilston St and walk 40m following the grassy area to arrive for Yoga @ Q Roasters. Otherwise, the Kedron Brooke pathway is less than a 100m away if you prefer to park & walk from another spot. 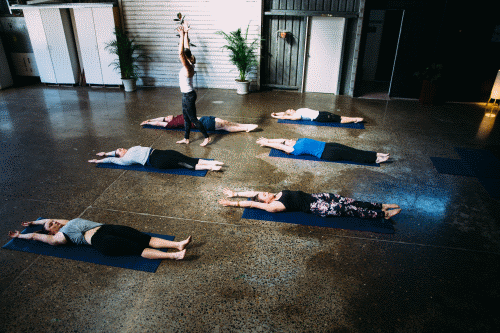 Are you the best yoga studio Brisbane has to offer? Whilst we wouldn't dare make such a claim, we can be sure that all our members love what we do and keep coming back for more. 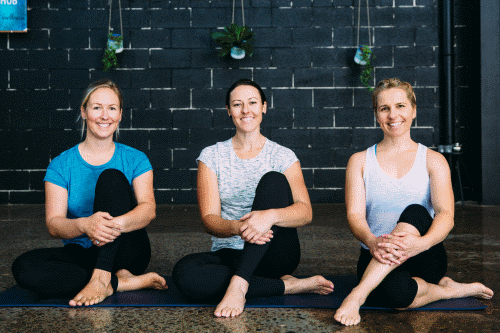 If you are in search of the best yoga studio Brisbane has, we would love for you to come along and see what we're all about.